While I do love jumping on a plane (usually), I also find it just as fun to travel by train – and I’d love for high-speed rail to become a realistic option in Australia at some point in the future. It’s been reality for decades in Europe – and as part of trip to the UK earlier this year, we had a day booked to visit friends living north of York, while we were staying in London. It was an intriguing look at the experience of travelling in a ‘premium cabin’ not on plane; it’s interesting to consider what the ‘Virgin experience’ is like translated to trains; and yes, I managed to earn frequent flyer points from the journey too. In terms of distance, this journey was about 180km. Google Maps had it pegged as a 2h 15m drive from Central London – around the same distance and time as between Sydney and Goulburn. A train covering the same distance between Sydney and Goulburn would take a bit over 3 hours – while this same distance journey on Virgin Trains East Coast (somewhat) high speed rail (HSR) clocked in at just under 1 hour 20m. Fun fact: we hit 195km several times. However, this isn’t true HSR – other trains around the world clock in at speeds well in excess of this – but is faster than we find here in Australia. 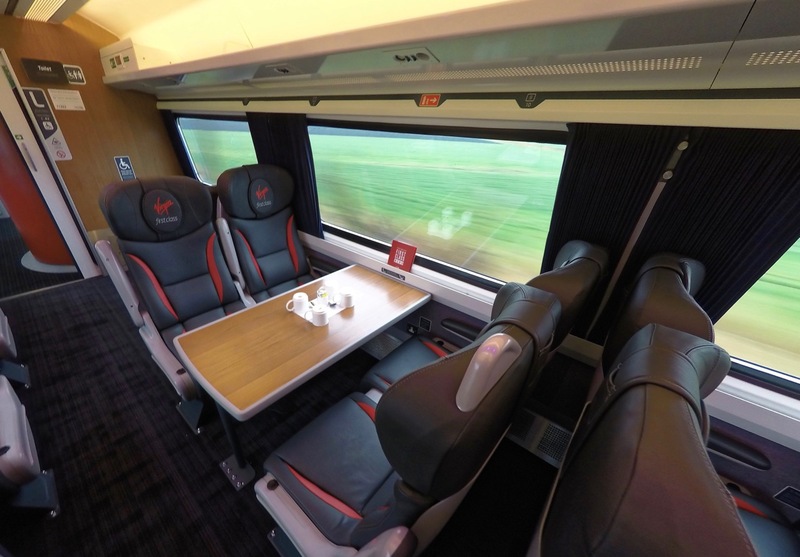 When booking train tickets in the UK you can pick up First Class tickets for only a little more than standard class fares, when booking in advance. We paid £62 per adult around 2 weeks prior to travel, whereas standard class was around £42. Would I recommend paying more for First Class? Sure, we had an enjoyable time and appreciated the drinks and snacks on offer at no extra cost. Is it an obvious choice on a 1h 20m train journey? Of course not. Seat selection is free for all advance purchase tickets and can be done online, as we’re well used to with most airline online check-in platforms now. 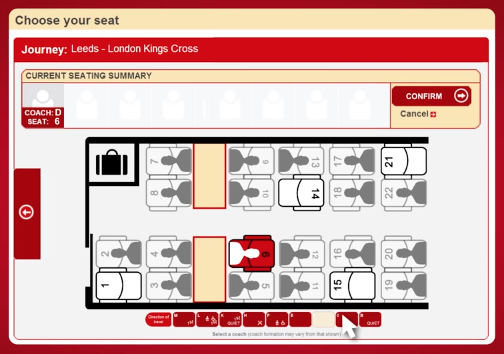 You can even check seat availability before you book to help with deciding which train you should aim for. Tickets are delivered to your choice of address in the UK, or can be collected in person at your departure station – digital tickets are starting to become available on most routes too. While we had lounge access included in our ticket, we showed up to Kings Cross station around 15 minutes before our train departed so there was no need to use it. I expect this would be the case for most passengers, but if you were visiting London and ended up with time free before your train, it could make sense to hang out in their lounge for a while. Anyway, we got our act together and got to the train as fast as possible. 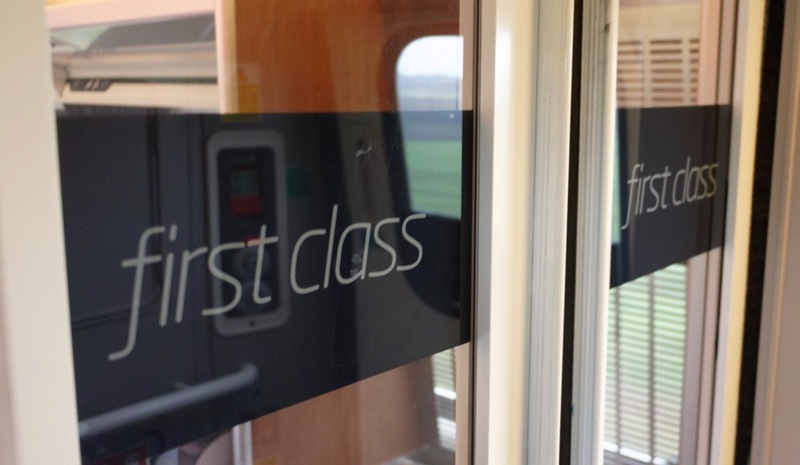 The First Class carriages are clearly marked, and each seat is numbered and with named tickets sitting on top so it’s clear which is your seat. 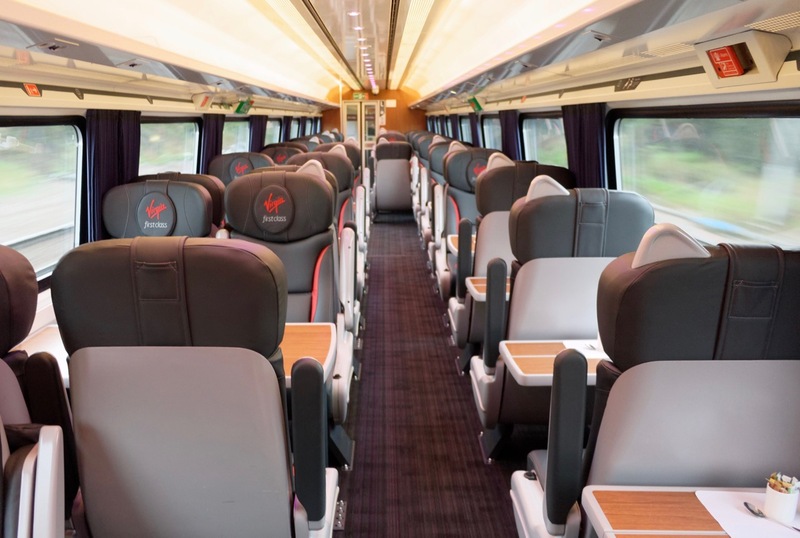 Each First Class carriage has a 1-2 configuration – so a single column of seats in pairs or alone, with a wider second column mostly set in fours – all with tables, pretty much. All chairs were clad in leather – or decent feel fake leather, at least, and offer a decent enough amount of recline. Given you could be travelling on one of these trains for around 8 or 9 hours up to Scotland, you might end up using it. 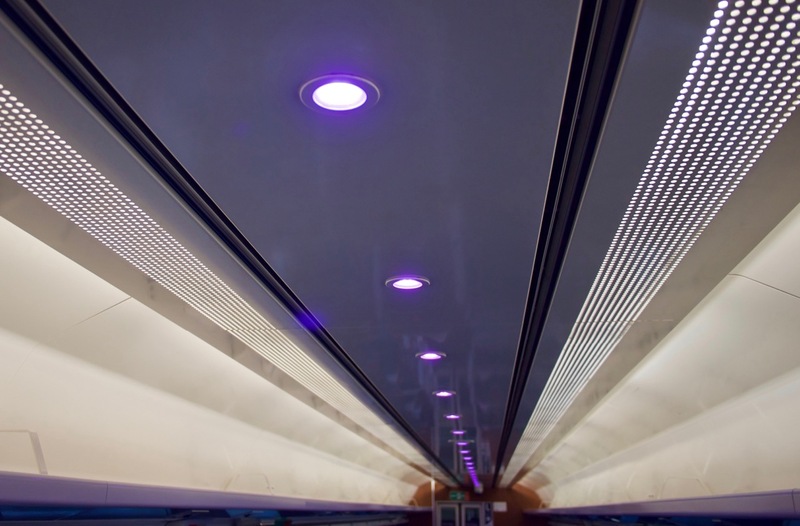 Also included – the signature Virgin purple lighting, just like in-flight. Each seat comes with direct power access. The majority of the passengers on our train, a 9am departure, were hard at work on their laptops. As a 9am departure, we were offered a cooked breakfast. 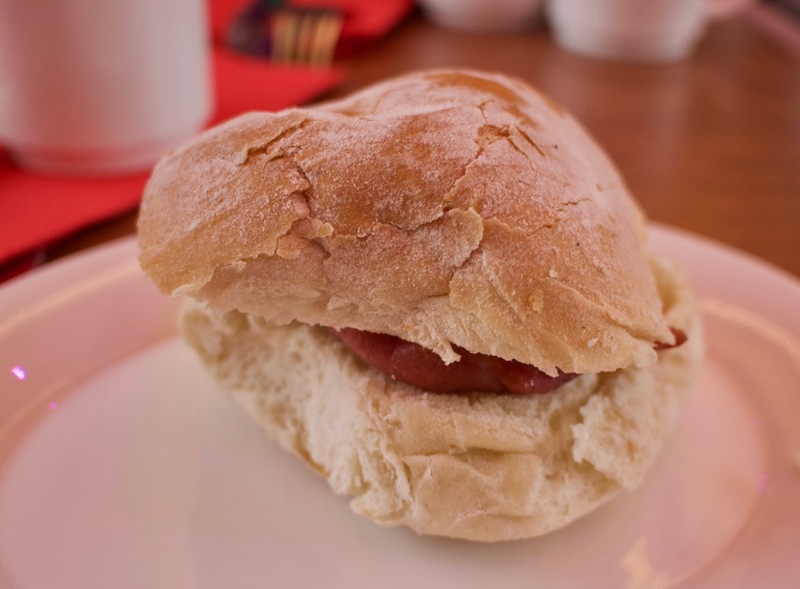 I took a pretty decent bacon sandwich, which was made to order. On our return in the late afternoon, we were offered afternoon tea. No, I didn’t eat all of these muffins. Also on offer were the usual selection of unhealthy chips and chocolate, plus tea, coffee or alcohol. All up, it was an impressive way to travel a couple of hundred kilometres in a short space of time. The First Class experience between each does vary, and my understanding is that the trains we travelled on were the most modern in the Virgin fleet. You can earn 14 KrisFlyer miles per $10 USD spent on Virgin Trains by clicking through using the KrisFlyer Spree shopping portal. 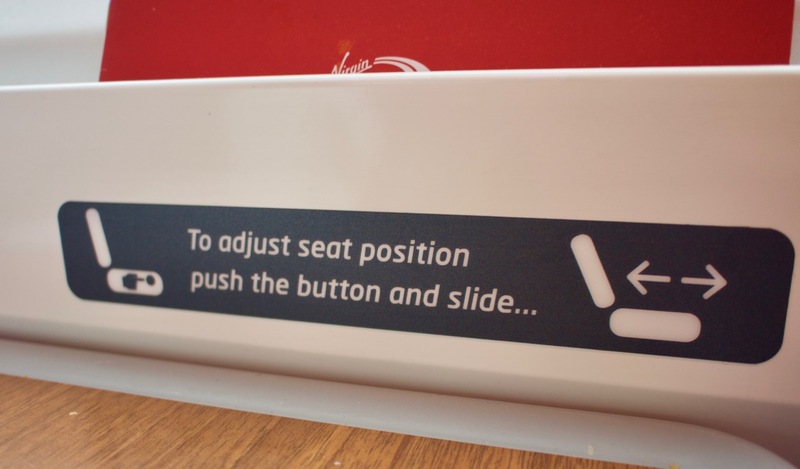 There’s a very natural link between Virgin Atlantic Flying Club and Virgin Trains. You can collect 2 Flying Club miles per pound spent, which is a pretty decent earn rate considering – that’s only if you book direct with Virgin Trains. I picked up my Flying Club miles – not that I know what I’ll do with them yet, but Flying Club are an American Express Membership Rewards partner so maybe I’ll get some use out of them in future. I’d imagine these would rack up fairly quickly if you needed to commute on Virgin Trains. 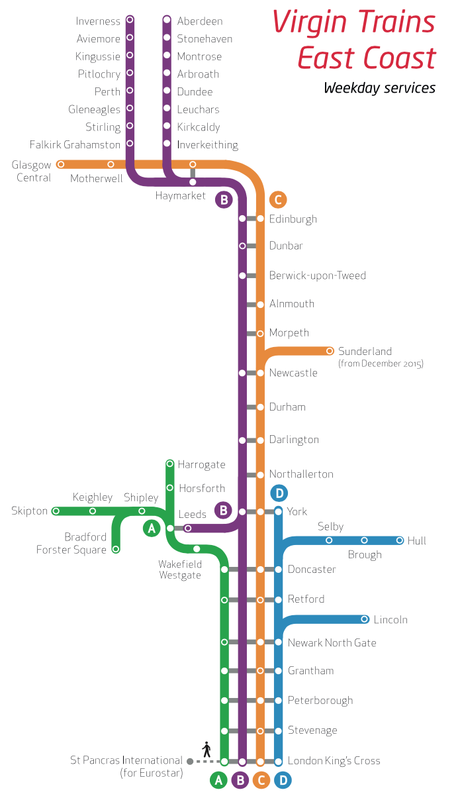 Virgin Trains has a couple of key route networks in the UK, with ‘Virgin Trains’ covering a block of routes from London to Glasgow, Liverpool and Manchester up the centre and West Coast of the UK, and ‘Virgin Trains East Coast’ (this experience) covering London Kings Cross up to Edinburgh and beyond along the East Coast. Taking a step back, this is a nice reminder of how all-pervasive the Virgin brand is. Maybe soon you could work out in your local Virgin Active, head to the airport to fly Virgin Australia domestically in Australia, then internationally to Hong Kong (once the Hainan Airlines investment kicks in); followed by Virgin Atlantics from Hong Kong to the UK, followed by a Virgin Trains trip in the UK, all the while bringing your handset connected to Virgin Mobile with you. It’s a modern brand empire. OK, so you wouldn’t fly between Sydney and Goulburn, or between London and Grantham. So we need to look at longer distances for a comparison. After Grantham this same train keeps on heading up the East Coast of the UK, all of the way to Edinburgh and beyond to Aberdeen and Inverness. London to Edinburgh is not as far as Sydney to Melbourne, admittedly, but it’s not too different – the same trip makes for a good comparison at least. At it’s quickest the train takes 4 hours 17 minutes with Virgin East Coast. By the time you factor in getting to and from the airport, meeting minimum check in times, and then arriving away from the centre of the city – the train has the plane beat in terms of comfort, reliability and simplicity at the least, and it’s not far off in terms of time taken as well. Recent studies have a Melbourne to Sydney high speed rail journey coming in at a little under 3 hours, a goal that any infrastructure would have to meet to push flying out of the equation. I’m not passing judgement on whether the cost of high speed rail for Australia between our major cities is worth it – I’m not informed enough for that. But based on my couple of experiences in the UK, if it did happen, it would absolutely be something to look forward to as a passenger. Now here’s a thought-starter… if HSR in Australia does become inevitable over time, maybe Qantas and Virgin should be first off the blocks in pushing for it and becoming operators. They are experts in transport logistics, passenger experience, service and yes, loyalty programs – our inflight experiences in Australia are some of the best in the world. Why shouldn’t they look to use their expertise for different forms of transport too? I find it interesting to consider at least. But until then, we’re left ‘up in the air’ here in Australia. 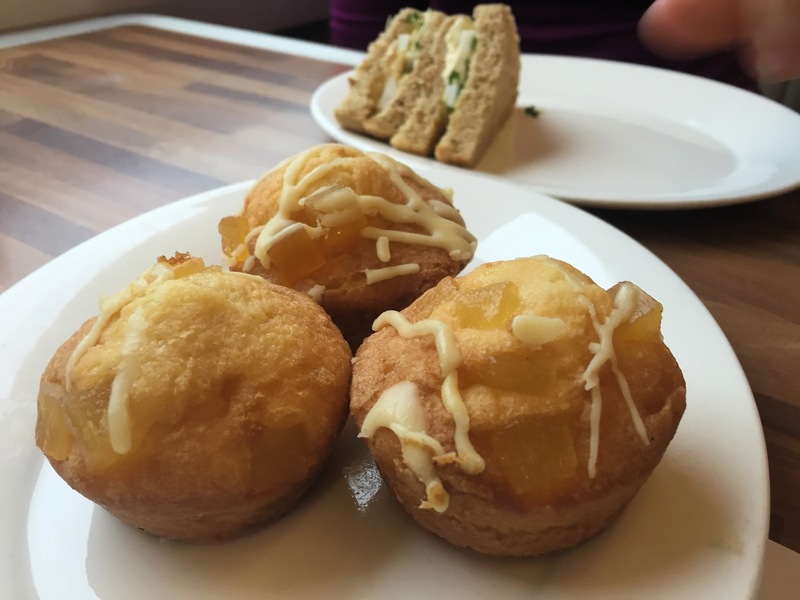 We recently travelled with Virgin First Class from London Kings X to Edinburgh, and spent about an hour in the First Class lounge at Kings X. We booked in advance before leaving Australia. Our tickets showed Edinburgh direct, however what we didn’t know is that the train was terminating at Aberdeen. There is an electronic departure board in the the lounge, however we almost missed our train because Edinburgh as a destination was not on the board, and on enquiry with the staff in the lounge they said that departure was possibly delayed. We decided as a precaution to go to the platform, and discovered when we got there that our train was about to leave, destination Aberdeen. Once on board it was a pleasant experience, both in terms of service, food etc & the lovely scenery that you don’t see from a plane. I think it was about a 4.5 hour trip. Not having to deal with airport check-ins etc was also an advantage. At the moment we are travelling around Europe (from Australia) on a eurail pass (1st class) and it is definitely the more civilised way to travel. Lots of scenery to enjoy and plenty of service with free drinks and snacks. Wish we had something similar back home, though I’m not sure that I’d be comfortable with getting on a train at 9.30am and have someone pushing a cart down the train, selling beer – happened this morning at Augsburg station (train headed to Munich and Oktoberfest). Pleasant surprise to see something close to my home written about on pointhacks! Sounds like you had a good experience on the virgin east coast service which is relatively new (less than a year I think). However I feel obliged to add some important information! (Background: I am born and brought up in England and only moved to Australia a year ago). 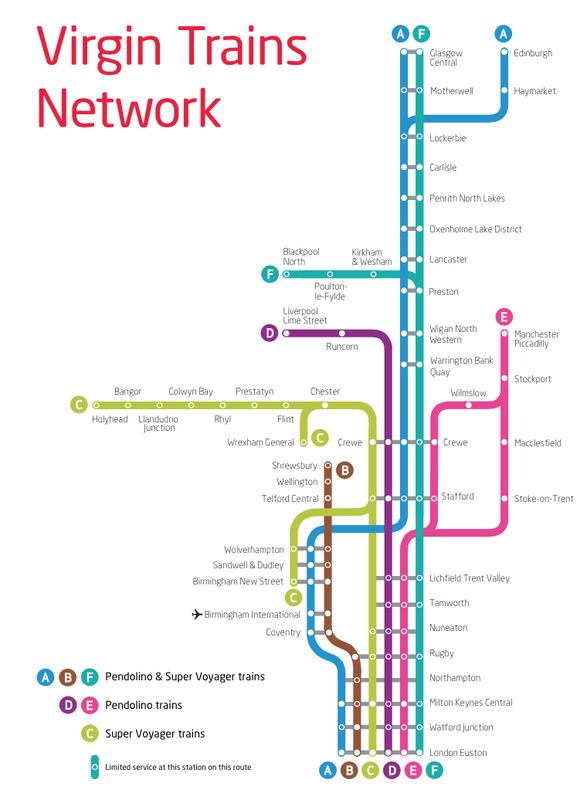 I am mainly commenting on the original virgin network (the routes in your first diagram), NOT the east coast network. Just in case any of your readers need to take this route on their trips to England. I have been a regular on the Liverpool/London route and often taking it to Manchester Picadilly as well. When I first started in 2007 these trains were pretty fresh and by far and away some of the best interiors in the country (not that there was much competition). These days they certainly feel stale and outdated and a lot of them look very dirty. First class on these services do not have these faux leather seats that the East Coast network has. It says a lot about rail travel in the UK that this is still better than most of the competition. The main network leaves from London Euston (10 minutes walk from Kings X) and this place gets INCREDIBLY busy. I would highly advise anybody NOT to travel from London Euston on a Friday afternoon/evening. The place is like a huge scrum. Hundreds and thousands of people waiting in the atrium looking at the screens, awaiting the platform announcements. Once the platform is announced people begin running to the platform. This is because there is a real risk that you may not get a seat on the train. if you have any luggage, the luggage racks are small and you are likely to not have anywhere to store your suitcase unless you are one of the first few onto the carriage. With this in mind, if you do need to travel on a Friday evening, it becomes more worthwhile to get a first class ticket (especially if you have luggage). 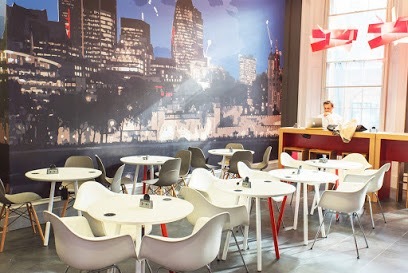 To get that lounge access and just the peace of mind knowing you will get your seat and a space for your suitcase. However, on friday evenings even the first class lounge will be jam packed and getting a seat can be difficult. Trains in the UK are constantly being delayed or cancelled. There is always some problem or another, be it signalling failures or vandalism to the tracks, or everyone’s favourite “leaves on the track” (I am not kidding). I advise people to book with this in mind and leave good time between connecting trains, if possible book flexible tickets rather than ‘advance’ tickets because if you miss a connection because of a delayed train there is usually very little that will be done to help you. The catering is very hit and miss, especially on services after breakfast. The best thing is usually the banana…. 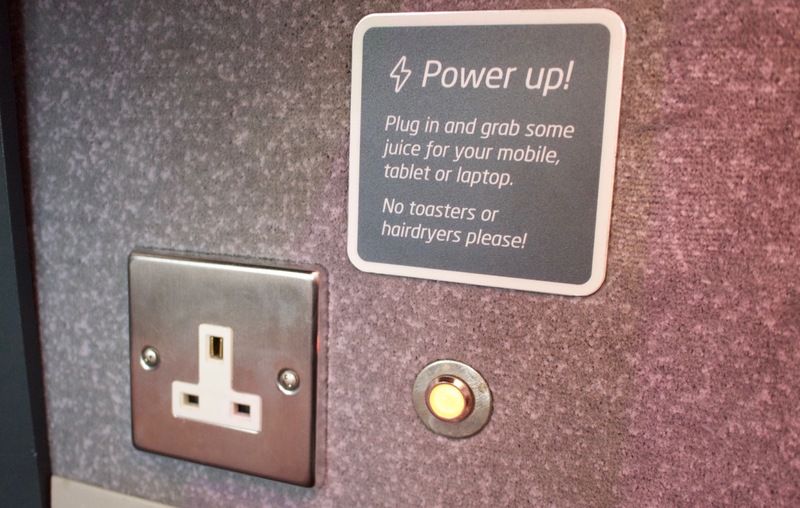 On weekends the first class service is now stripped back and all you will receive are soft drinks/tea/coffee and snacks (crisps/fruit/biscuits). 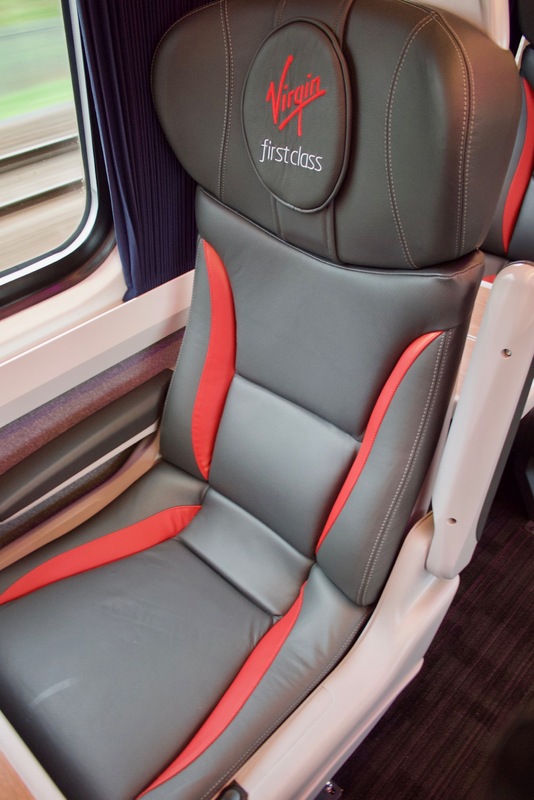 However you can purchase a first class upgrade on board at weekends but from the North to London this costs about £20 (last year it was £15) which isn’t really worth it for this reduced service. Also please don’t make the mistake of paying for WiFi in economy. It is shockingly poor on these trains and the routes often involve a lot of tunnels that cut out the signal. It’s free in first class at least but don’t expect you will be able to stream anything! Speaking of streaming, a few months ago they launched their ‘Beam’ service, which is similar to the entertainment systems that VA and Qantas use on their domestic flights. Where you download an app, connect to the wifi and stream a selection of TV and films. You won’t find the app if your phone is linked to the Australian app store, so if you want it, you will need to connect to the English app store/iTunes on your device. Despite all these issues, virgin trains are still some of the best trains we have in the UK and is usually the easiest way to travel from north to south and vice versa. the earlier you book your ticket, the better the chance you have of scoring a first price ticket that is similar in price, if not cheaper, than a normal ticket. Hope this helps any of you that have an upcoming trip to the UK and plan on venturing outside of London. Awesome, great tips Ro! 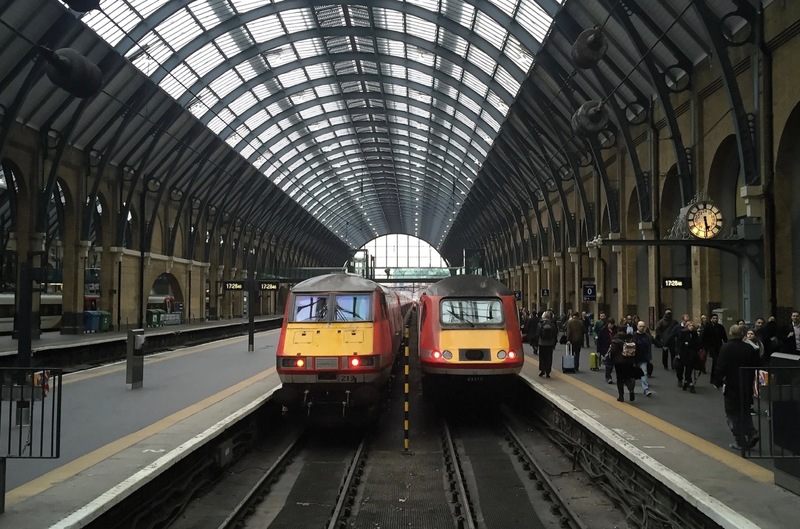 Maybe I sugar-coated the experience a bit – we were travelling just outside of peak hour on a weekday, so sounds like we got the benefit of both the weekday service but without the crowding, plus one of the better services in the UK. I personally am very familiar with First Great Western, now GWR, having grown up an hour or two West of London, who used the old Intercity 125 trains I think move us in and out of London Paddington. I travelled on it again recently and not much had changed, but First was still comfortable and spacious. So much so I fell asleep (I walked off a flight from Sydney and onto a train to Swansea) and left a bag with my passport and some other essentials in, which amazingly I managed to get back. Anyway, the 125s are still used in Australia on the longer distance services between Sydney, Melbourne and Brisbane. To my knowledge, it’s not something you look forward to travelling on. So, the UK is well off by comparison, IMO. Yeah I have travelled GWR recently a few times but only in standard class. 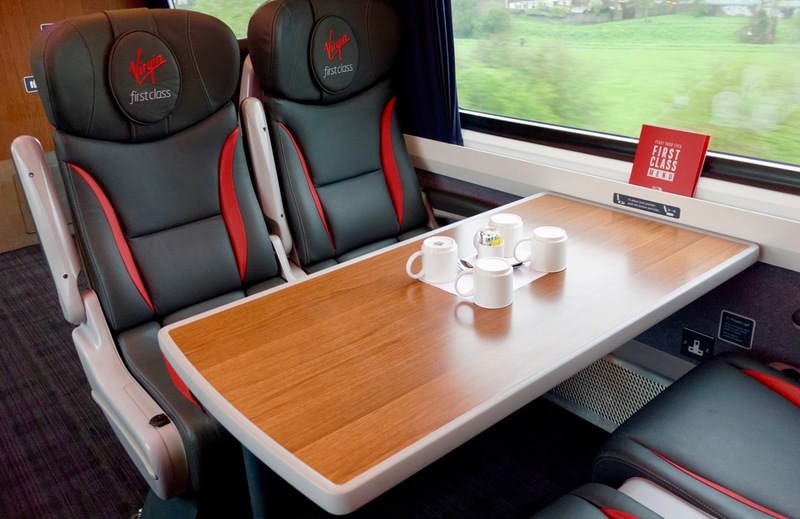 I find that virgin is the only rail provider that gives a service that is markedly different from standard to first so I usually don’t find the extra cost worthwhile. You are only really paying for extra space – this is worth it on certain routes at certain times but I guess that requires regular knowledge. however on a long journey such as Sydney to Melbourne, that extra space would definitely be worth it! The problems with UK train services are also mitigated (in my opinion) by the fact that journey times really aren’t a lot unless you are travelling to Scotland. In Australia it’s a completely different kettle of fish and I believe high speed rail travel is becoming a necessity. but in the UK we have some of the most expensive rail travel in Europe by some distance, yet it is frequently rated some of the worst and most unreliable. One only has to do a quick google of “southern railway” to really see what terrible rail travel is all about! Also great to hear you got your bag back with your passport in it. excellent news! We hopped on a Virgin service last week just north of London heading to Leeds. Our bicycles were accommodated in the large area reserved in the guards van for bikes. Service was friendly and there was plenty of food and liquid refreshments. Our trip was around 300 km or around 2 hrs. We can`t fly with our ebike batteries so this was a great alternative, in fact we now prefer trains in England and Europe to flying, more space and less hassle with security. Clocked our train at 207 km/hr at one stage, certainly not TGV fast but fast enough.